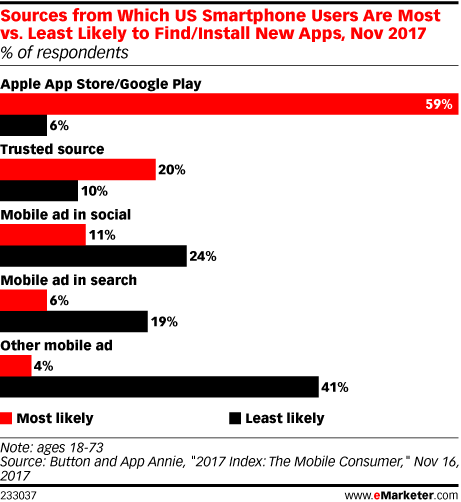 Data is from the November 2017 Button and App Annie report titled "2017 Index: The Mobile Consumer." 1,106 US smartphone users ages 18-73 were surveyed online by Survata during October 31-November 2, 2017. Button is a mobile partnership platform that facilitates discovery and transactions for brands. App Annie is a provider of mobile app data and insights.